Studying in a warm and energy-efficient school can make a big difference for the learning process. 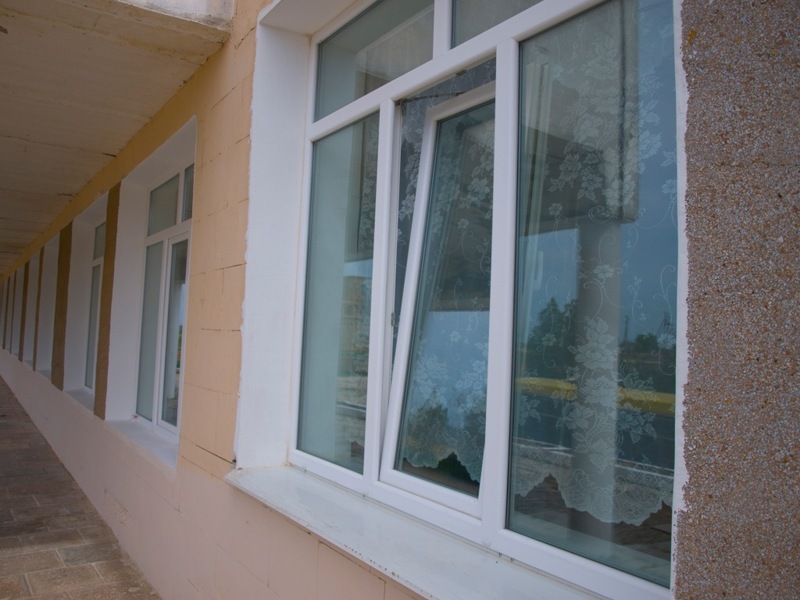 Children in Zhuravli village in the Saky rayon of Crimea know this from experience: thanks to support from the German development bank KfW, the school underwent large-scale renovations that helped increase the building’s energy efficiency and improve learning conditions for students. 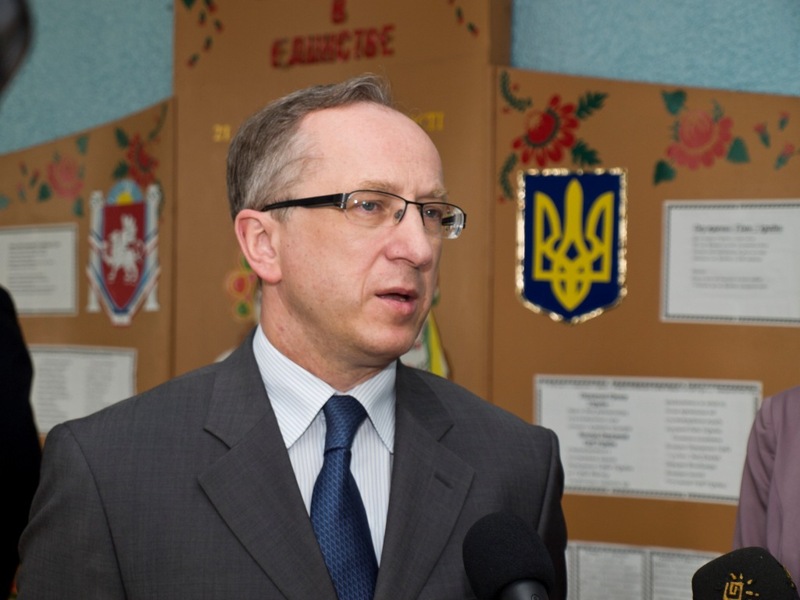 Jan Tombiński, head of the EU Delegation to Ukraine, and Gunnar Wälzholz, country director of KfW, visited the school on April 30. Together, they inaugurated the renovated building, which is part of a large-scale assistance initiative launched by the German Government and continued by the European Union. The school, built 30 years ago, needed substantial funding to improve its heating and energy efficiency. Almost all the windows and doors were replaced using the German funds, helping to make the school warmer in winter. “This winter our classes were warm, the temperature reached 21-22 ºC, and the children were much less vulnerable to illnesses,” says Halyna Anokhina, a primary school teacher. Thanks to the renovations, “children and teachers had much more comfortable conditions for their work,” she adds. Oleksandr Ovdienko, the head of the Saky rayon state administration, praises this assistance and says it will help save substantial funds on heating. “The village school is not only a learning place, it is also a place for social interaction,” he says, adding that not just pupils, but also their parents spend a lot of time in the building. 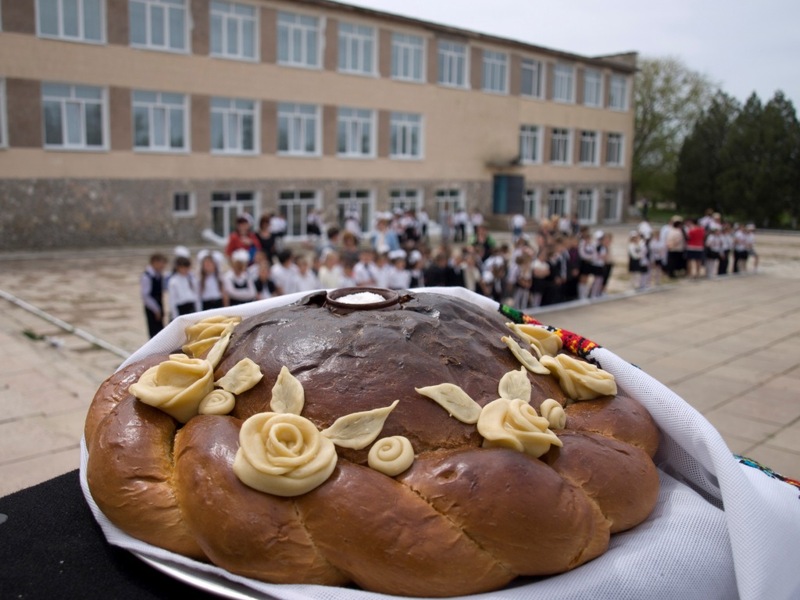 In total, UAH 995,000 (about € 90,000) were spent on school renovations. 10% of the amount was contributed by the community itself, including about UAH 80,000 (€ 7,200) collected by the village dwellers; 90% was provided by the German Federal Government via KfW. The community’s contribution not only helped implement this specific project, but also helped citizens become more engaged through co-operation and self-organisation. Indeed, Tombiński announced during the visit that the EU has launched a new call for proposals for development projects in the Ukrainian regions, pledging €4.95 million toward the initiative in Crimea. He notes that this program can provide regional and local authorities with additional budget funds with which to implement the priorities and objectives defined in their respective local development strategies. The renovation of Zhuravli school was accomplished within the framework of the “Promotion of Social Infrastructure” project, which is funded by the German Government via the German Development Bank (KfW) and implemented by the Ukrainian Social Investment Fund (USIF). The total amount of support provided by the German government has reached €17.1 million to date. The funds have been used to improve social infrastructure in rural areas: to modernise schools, kindergartens, hospitals, special care homes, and to build and reconstruct village roads, water pipelines and electricity networks. In total, 280 projects have been implemented across Ukraine; 123 of these are in Crimea, including 17 in the Saky region, where Zhuravli village is located. On April 26, the European Union announced a new call for proposals to support Ukraine’s regional development policy. The programme aims to alleviate regional disparities by targeting the least developed regions of Ukraine and to promote sustainable rural development. The call is part of a wider regional development programme worth €31 million, promoting the decentralised development of the Ukrainian regions.